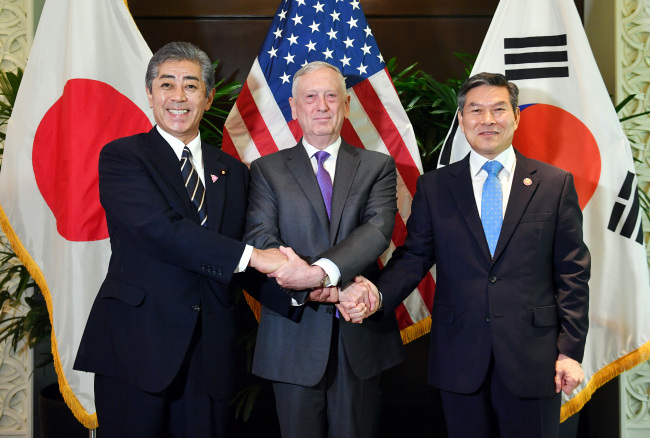 South Korea and the United States failed Friday to reconcile their differences over sharing the cost of stationing American troops on the peninsula during their eighth round of talks in Seoul, the foreign ministry here said. The allies wrapped up their four-day negotiation session without bridging the gaps on a set of sticking points such as the exact cost Seoul is set to shoulder for the upkeep of 28,500 American troops in the South. But they decided to seek a conclusion to their negotiations by next month "in the spirit of mutual respect and understanding," the ministry said in a press release. With the failure to settle their differences this time, the two sides shared the understanding that it would be difficult to complete domestic procedures, including parliamentary ratification, this year. The next round of the negotiations is slated to occur in the US next month.